The Knight Creative Communities Institute (KCCI) announced its 2019 placemaking initiative tentatively named Red Hills Rhythm and is seeking volunteers, called Community Catalysts, to cast a vision for an interactive outdoor musical experience and then work to make it a permanent fixture within the Tallahassee landscape. The application cycle for the 2019 program year begins today and closes Nov. 2, 2018. 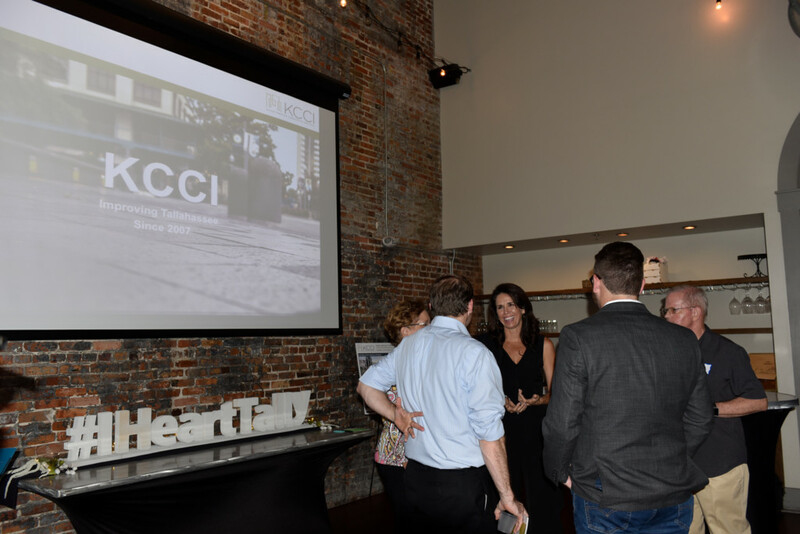 The 2019 project was announced during KCCI’s Showcase and Preview event at The Edison Restaurant overlooking Cascades Park, the site of KCCI’s Cultivate Cascades Project, which was featured recently in Assembly: Civic Design Guidelines, a groundbreaking playbook for creating well-designed and well-maintained public spaces. Cascades Park will also host the Experience Tallahassee Festival on October 13. The event is the culmination of the 2018 Catalyst team’s efforts to build ties between local higher education entities and the community. Implemented in partnership with FSU, TCC and FAMU – it will feature performances by local organizations, a career area for networking with local business owners, and a wide variety of local eats. The 2018 Experience Tallahassee Catalyst Team also created “Tallahassee’s Top 50” – a list of fifty experiences that students and residents alike can enjoy, which is available as a free download at KCCITallahassee.com. The 2019 project marks KCCI’s 11th year of shaping Tallahassee’s identity through placemaking endeavors, which help drive economic development and bring a wide variety of people together. KCCI trains its Community Catalysts on research which shows that the ability of a region to attract and retain members of the creative sector and stimulate economic prosperity depends on a balance of the 4Ts: Talent, Territorial Assets, Technology and Tolerance. Research also shows that communities with a strong sense of place fare better economically. KCCI then challenges the Catalysts to implement a sense of place project that helps attract and retain the creative class, young professionals and college graduates. You can learn more about KCCI and their initiatives here.